Houses & Homes VA: Richmond Ranked as the #1 Place to Celebrate the 4th of July! Richmond Ranked as the #1 Place to Celebrate the 4th of July! Have you heard of Wallet Hub? It’s a social website that focuses on money and finances and this year Richmond, VA has been voted as the best location in the America to enjoy Independence Day! Wallet Hub considered 14 different criteria to determine the overall best location to enjoy the celebration this year and Richmond ranked highest as compared to the other 99 largest cities in the U.S. Among the things being considered were entertainment and food, available attractions and recreational activities and even the weather forecast for the 4th. 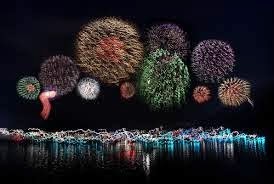 If you would like to visit the ultimate 4th of July celebration here’s the complete list of all of the firework displays that will be available. A word of caution however, you may not want to leave! FIREWORKS ON THE JAMES – this is the 4th year that this celebration will be held. There will be entertainment provided by the Richmond Symphony Youth Orchestra, the Richmond Ballet’s “Minds in Motion” and the Latin Ballet of Virginia and plenty of food to satisfy just about any craving! No alcohol, pets, glass, or metal containers are allowed. FIREWORKS AT DOGWOOD DELL – a free concert will begin in the afternoon featuring both jazz and pop music featuring Bak N Da Day, a Carillon Bell Concert, and the Richmond Concert Band. GOOCHLAND COUNTY FIREWORKS – this one is self explanatory and is one of the most popular gathering places for the 4th of July celebration in Richmond! KING’S DOMINION MILITARY DAYS – here you can combine the holiday with all the thrills of this great amusement park! Perfect for adults and children! DOMINION AT DUSK – if you can’t make it on the 4th don’t worry, there will be fireworks every night here for the entire summer! FIREWORKS AND THE FLYING SQUIRRELS – looking for something a bit different? Here you can combine a little sports action with your fireworks on the 4th and the 5th with fireworks on both days! GENWORTH INDEPENDENCE DAY CONCERT – plenty to do here for the entire family including face painting, balloons and tons of different food to sample! Entertainment will be provided by the Heritage of America Band and the event is being held on the 3rd if you want to get the party started early! COLONIAL HEIGHTS FIREWORKS – if you’re looking for a no frills way to see the fireworks that this is your best bet! The location is just off of I-95 Exits 53 or 54 in the Southgate Square/Wal-Mart area.